Following on from last week’s talent, Harriet Sleigh, this week we’re back with another creative upshot whose conceptual work demanded our attention. Zdravko Dimitrov is a second year Photography student at the Arts University Bournemouth and a current intern for HotShoe Int. who, by his own admission, produces a wide variety of images. Lately though, a switch back to film has resulted in a far more considered body of work. This approach plays a key role in a project that really intrigued us, one that features his great grandmother and little cousin. 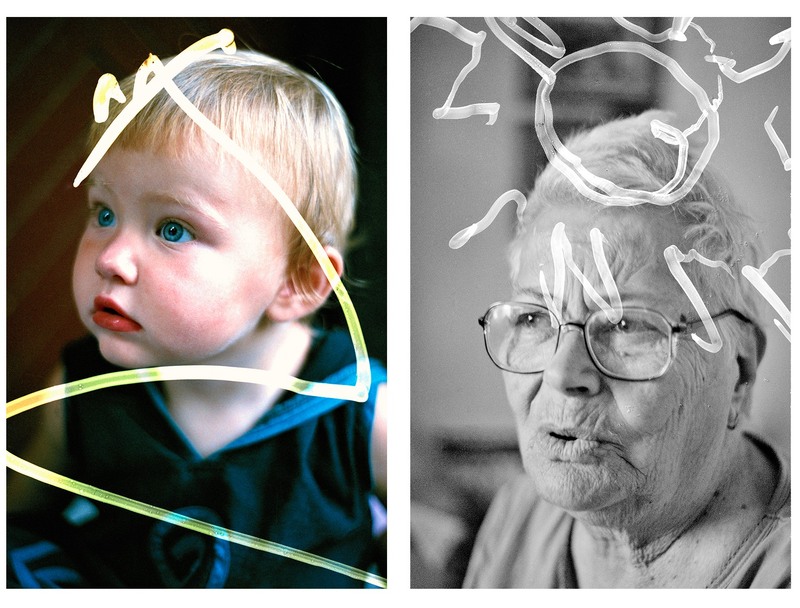 Keen to explore and demonstrate the correlation between age and the brain, he asks both to draw or write over the negatives of his pictures of them. With his grandmother aged 87 and his cousin an infant, the work shows a strong similarity in the marks that each subject makes. 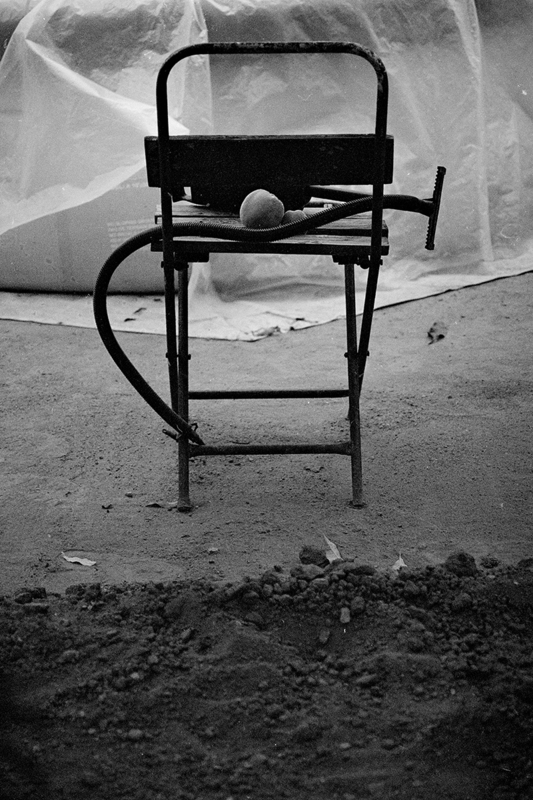 To approach a subject like mental health in such a personal, tender and innovative matter displays a great ability to use photography in an abstract manner. It is also noteworthy that the result effortlessly communicates a message that is hard to articulate with the written word. Another piece that fascinated us was a deteriorating GIF. Zak is captivated with the idea of destruction and is using a photocopier to photographically destroy the portraits of people that he has fallen out with. By photocopy the portrait, then copying the copy and so on the subject becomes less and less distinguishable, illustrating the separation that has come to define the relationship. Our feeling is that Zak’s work is at an exciting phase and with plans to adapt the deterioration project for a gallery installation, we will be very interested to see what he comes up with next. You can check out more of his work via the link below.